Welcome to the Junior High Basketball Championships! 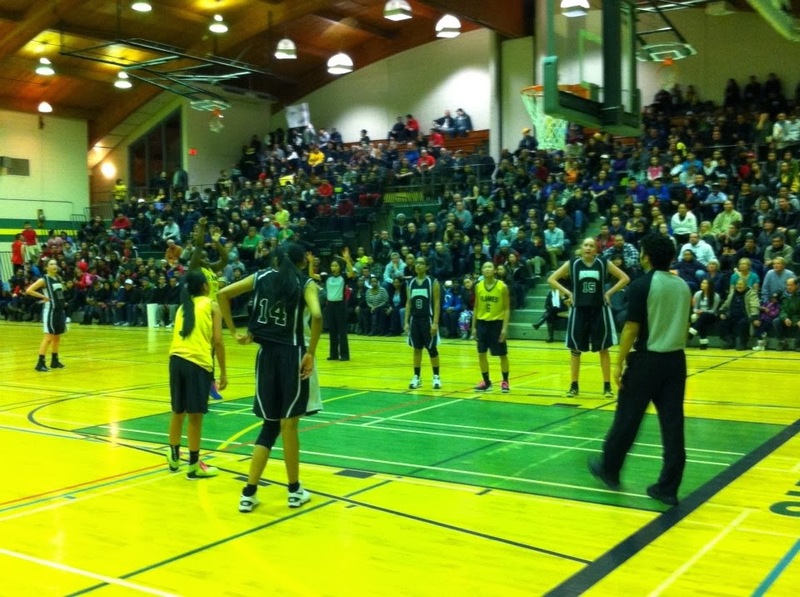 Since 1996, Basketball Manitoba has been hosting the Junior High Basketball Championships (JHBC) (aka Junior High Invitational Tournament) during “March Madness”. The Championship is open to 12 teams from each gender and level (Senior & Junior) from the Junior High / Middle School levels. The Junior category consists of students in Grade 7 and 8. The Senior Category consists of students in Grade 9, not playing Junior Varsity. The event traditionally runs the third week of March. Subscribe now to our weekly email newsletter to be automatically notified of more information on this Championship! Please note that schedules can change! Check back often to ensure you have the latest version! Basketball Manitoba will be hosting its annual Junior High Basketball Championships, March 23-26, 2020. The Championship will be open to 12 teams from each level (Senior & Junior) for boys & girls, totalling 48 teams participating. The JHBC will wrap-up the junior high/middle school basketball season by providing a year-end program for interested teams. If your school’s team is interested in participating in this year’s Championship, please submit the Championship Application to Basketball Manitoba no later than Friday, March 13, 2020. All forms are to be submitted online (see the bottom of page). You will receive an email with receipt of the application. The Selection Committee will meet Sunday, March 15, 2020, at Sport Manitoba (145 Pacific Ave) from 2:00 PM - 4:00 PM to make the final decisions on who is in the Championship. All coaches who apply for a spot in the Championship are strongly recommended to attend the selection meeting, however, it is not mandatory but STRONGLY suggested that each team send a representative to attend the meeting. The more coaches that attend the selection meeting, the more input the Selection Committee will have and the better the Championship will be! Contact Jillian Kehler if you are interested in being a future site host! 12 teams are to make up each of the four divisions (Senior Boys, Senior Girls, Junior Boys, and Junior Girls) in the Championship. Teams Seeded 1-4 will receive a bye in the first round of the Championship. Teams seeded 5-12 will play in the first round with the winning teams joining teams seeded 1 – 4 in a single game knockout bracket-style Championship. (View Sample Schedule). Seeding of teams will primarily be based on matching different school divisions to avoid intra-conference play and match those teams that have not faced each other this season. An open committee of coaches will be formed at each level to determine the teams to be invited into the Championship and the seeding in the draw. We invite all active Coaches / Conveners in the Junior High Leagues to contact Basketball Manitoba if they would like to serve on any of these selection committees. Game times for the week will be 4:15 pm, 5:30 pm, 7:00 pm and 8:30 pm. Each team participating will pay a non-refundable entry fee of $200.00 (payable to “Basketball Manitoba”). Fees will go to cover tournament officials, administration, insurance & awards. Those teams receiving one (1) game in the Championship will receive a $125.00 rebate. Those teams receiving two (2) games in the Championship will receive a $50.00 rebate. Those teams receiving 3 or more games in the Championship will not receive a rebate. Basketball Manitoba will cover the costs associated with all teams who make their respective finals. Basketball Manitoba must receive full payment by cheque in the mail, Visa or MasterCard number over the phone or Visa, MasterCard, cash or Interac in person no later than Friday, March 20, 2020, by 4:30 PM. Payment will not be taken at the gymnasium they must be in prior to the Championship. It is suggested that coaches take care of payment in person to Basketball Manitoba to delay in the mail. Receipts will be issued by mail the week following the Championship if requested. 'Senior' athletes are classified as being currently in Grade 8 or 9 and are born after January 1, 2005. All athletes are eligible to play in the Championship that played in your school’s program in the current school year, based on each Division’s eligibility guidelines. Teams must enter the Championships with the same roster they have competed with all season. The combining of 2 or more teams at the same grade within a school to form a 'combined team' to then enter the Championships is not permitted. The selection committee will base the championship seedings on a single team's record and the combining teams at the end of the season will make the process of properly placing teams in the schedule inaccurate. Should a school host 2 or more teams at the same grade level, they are all welcome to apply as individual teams to be considered for the Championships. All participants MUST be full-time students of the current school they are representing. The team must have the school's administration approve their participation in this event. No players are allowed to move down to a team that they did not play for in the current school year (i.e., If a Senior team does not qualify for the Championship and the Junior team does, no players from the Senior team can be brought down to the Junior team). Players are permitted to play as many as 3 GAMES up at a higher level in the current school year and remain eligible for their current team. Once a player plays 4 OR MORE GAMES at a higher level, they are no longer eligible for the JHBC. All tournaments played 'up' are considered as 2 games as defined by the MHSAA. Examples include if a Grade 9 player moved up and played 4 games or more at the Junior Varsity / Varsity levels, they are ineligible to compete in the Championship at the grade 9 level. If a Grade 8 player moved up to the Grade 9 or Senior level and played 4 games or more during the current school season, they are ineligible to compete in the Championship at the grade 8 level. Please note that for a grade 9 or under athlete to compete at the Junior Varsity or Varsity level, their name must appear on an MHSAA eligibility form with that respective team from within your school prior to their roster freeze date (typically mid-January). Players who play in the MHSAA Varsity or Junior Varsity Basketball Championships cannot also participate in the JHBC. All teams that participate in the Championship must have played in the same level they played in during the current school year's season. For example, if a Grade 9 team played at the “Junior Varsity” level for the current school year season, or if a grade 9 player played up at the Varsity level all season, they are ineligible for this Championship. Teams must declare what players will be on their roster for the JHBC, prior to their conference playoffs. Teams adding new players after this point will be declared ineligible for the Championship. Appealing Rules of Eligibility. Please submit a letter stating the full details of your appeal on behalf of your player/team with your Championship Application. The Championship Committee will review each case at the selection meeting and will inform you of the ruling. All decisions of the Championship committee are final. Please send this information by email to Jillian Kehler. All applications received past the date of the Selection Meeting will not be accepted for any reasons. All teams that applied will be officially notified by email of the decisions of the Selection Committee. All decisions of the Selection Committee are final. All concerns must be made in writing and forwarded to Jillian Kehler at Basketball Manitoba. The Championship rules will be played under current FIBA rules with MHSAA administrative guidelines. GAME TIME: Games are to be played with four (4), eight (8) minute quarters, stopped time with an overtime period, if necessary, of four (4) minutes. Halftimes will be ten (10) minutes in length (unless the eventis running behind schedule the host may shorten this at their discretion). Teams will be given a “grace period” of five (5) minutes to field a team of five players. Teams that do not field a team within the grace period will default the game (lose) to the opposing team. The “official game time” will be that of the Championship organizer on site. 1st Infraction per game: Give an official warning to the team to be recorded on the scoresheet. DEFENSIVE PRESSING: Teams will be allowed to full-court press the entire game up to a 15-point advantage. BALL SIZE: The size 6 (28.5) regulation size basketball will be used at the Junior Boys, Junior Girls and Senior Girls with the size 7 regulation sized basketball used at the Senior Boys levels throughout the Championship. The Wilson Evolution basketball will be the official game ball of the JHBC. FREE THROW LINE: The free throw line will be at regulation length for all Junior Boys, Senior Boys and Senior Girls levels (15 feet). The Junior Girls will shoot from the line marked at 13 feet from the basket (2 feet in). THREE-POINT LINE: The 6.25m (old FIBA line) or the marked 3-point line will be used in ALL levels of the Championship including the Senior Boys, Senior Girls, Junior Boys and Junior Girls. SHOT CLOCK: A 30-second shot clock with a 10-second backcourt line will be used at the ALL levels of the Championship including the Senior Boys, Senior Girls, Junior Boys and Junior Girls. Behaviour: Inappropriate actions or behaviour of players, coaches or spectators will not be tolerated. The decisions of Championship Officials and Organizers are final. The Basketball Manitoba Codes of Conduct will be in effect throughout the Championship. It is our intention to recognize league winners with automatic berths, but as many leagues do not declare their champions until that preceding weekend, it may be necessary to pre-seed teams based on their league records. Furthermore, since this is an optional Championship, it is quite possible that some teams may not wish to extend their season. Referees will be selected from two sources: Certified MABO Officials and recommended Junior Officials from the various Conferences. If you know of a quality Junior High official, please add their name and phone number to the Application Form. All officials must have attended a referee’s clinic during the current season in order to be eligible to work. All teams must provide for themselves warm-up balls and appropriate matching FIBA approved uniforms. Uniform numbers can range from 0-99 inclusive. A matching uniform includes an undershirt (if worn) being the same colour as the uniform top. This will be enforced by game officials. Undergarments, if worn, should be either black, white or the dominant colour of the jersey. Championship banners and t-shirts will be presented to Championship Champions and Finalists (2nd place). A maximum of 17 t-shirts per team, including coaches, will be awarded to the Champions and Finalists players. Any extra t-shirts needed are the responsibility of the team. There will be no changes made to the Championship schedules once they have been released on the Tuesday prior to the event. Teams must be able to field a team of at least 5 players on any of the times scheduled during the week. No exceptions. PLEASE ENSURE THAT ALL COACHES IN YOUR SCHOOL ARE AWARE OF THIS INFORMATION!! If you would like to sit on the committees or you have the names of coaches in your league that would be interested, please indicate this on the online application form at the below registration link. We are hoping to see your program involved in this year’s Championship! The following chart is automatically updated every 5 minutes with the current list of all teams who have applied for consideration into the Championships. Scroll up and down the list using the scroll to the right of the chart. The list is sorted by level. Can't see the below chart? CLICK HERE to view it in a new window. Please email us any information that we have missing below! For more information on the JHBC, please contact Jillian Kehler.